Magnesium is an important mineral for pregnant women. It reduces the risk of premature delivery, cerebral palsy and SIDS (sudden infant death syndrome). Also, two of the most devastating complications of pregnancy are conditions that strike as many as 8% of all pregnancies, which often result in premature delivery, stillbirth or death to the mother. But we seldom hear anything about them. These conditions are preeclampsia, which is a threat to the baby after about the twentieth week, and eclampsia, which can strike the mother even 4 to 6 weeks after the baby is born, potentially resulting in her death. Preeclampsia typically causes short-term spikes in blood pressure. The mother has blood pressure over 140/90 on at least two occasions less than six hours apart. Magnesium is not a 100% effective remedy for high blood pressure and other symptoms of preeclampsia, but it almost always helps. Eclampsia typically causes intractable seizures. These seizures can’t always be stopped with medications, but at least two studies have found that they almost always can be stopped by magnesium. Which Women Are Most at Risk for Preeclampsia and Eclampsia? About 1% of women of European descent will have one or more experiences with preeclampsia and/or eclampsia during their lifetimes. 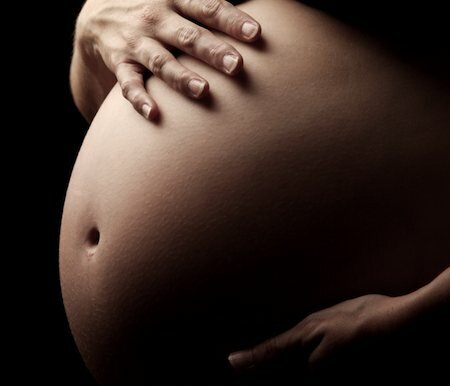 About 3% of women of African descent will have to deal with preeclampsia or eclampsia. Oddly enough, women who smoke are less likely to experience preeclampsia or eclampsia than women who do not. Eclampsia causes seizures, usually after severe headache, with or without changes to or loss of vision. By the time these symptoms occur, hospitalization is likely to be required, and treatment will almost certainly include massive amounts of magnesium given intravenously. Most women find this very unpleasant. However, when women who have preeclampsia are given magnesium this way, they almost never have the seizures caused by full-blown eclampsia. It may be possible to take magnesium to prevent these conditions. For many years, doctors tried to prevent preeclampsia by giving women calcium supplements. They didn’t make a real difference. When someone finally decided it might be a good idea to find out which minerals were really deficient in pregnant women, who developed preeclampsia and eclampsia, compared to pregnant women who did not – it was finally discovered that the minerals in question were not just calcium, but also magnesium, selenium and zinc. The problem with taking just calcium, is that it needs magnesium to work. In fact, women need more magnesium that calcium for the calcium to have the calming effect needed during pregnancy. Scientists do not really know why women who eventually develop preeclampsia and eclampsia need more of the minerals, but they know it is not due to excessive urination or weight gain. What Kind of Magnesium Is Needed in Pregnancy? There are lots of options for mothers to be who want to take mineral supplements. Just about any prenatal vitamin with trace minerals will provide the right elements – although most products contain too much calcium and not enough magnesium! There is a fundamental reason, however, why it is better for pregnant women to get their magnesium from magnesium oil rather, than from supplements taken by mouth. That reason is the potential for digestive upset. Magnesium, especially when it is taken in the form with which most doctors are familiar, magnesium sulfate – is a laxative. Another term for magnesium sulfate is Milk of Magnesia. This form of magnesium, as well as the magnesium oxide form of the mineral used in many of the less expensive supplements, can accumulate water in the gut and make the stools runny. And women who are pregnant don’t need one more reason to have to go the bathroom. A better option is magnesium oil. 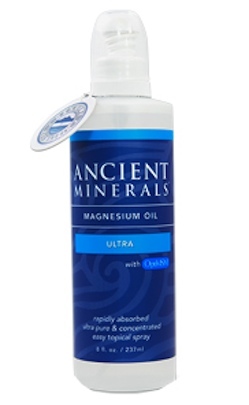 The magnesium in magnesium oil is absorbed through the skin. It never passes through the digestive tract and it never causes digestive distress. Just use magnesium oil as a lotion, allowing it stay on the skin for an hour or so after it dries. Or add magnesium oil to warm bath water for a nice long soak. The right dosage of magnesium oil is – the more the better, although at least ½ fluid ounce (15 ml) is needed to get an effective dose when applied directly to the skin. Four ounces (120 ml) is the amount needed for a bath. Farzin L, Sajadi F. Comparison of serum trace element levels in patients with or without pre-eclampsia. J Res Med Sci. 2012 Oct;17(10):938-41. Hovdenak N, Haram K. Influence of mineral and vitamin supplements on pregnancy outcome. Eur J Obstet Gynecol Reprod Biol. 2012 Oct;164(2):127-32. doi: 10.1016/j.ejogrb.2012.06.020. Epub 2012 Jul 6. Review. Katz O, Paz-Tal O, Lazer T, Aricha-Tamir B, Mazor M, Wiznitzer A, Sheiner E. Severe pre-eclampsia is associated with abnormal trace elements concentrations in maternal and fetal blood. J Matern Fetal Neonatal Med. 2012 Jul;25(7):1127-30. doi: 10.3109/14767058.2011.624221. Epub 2011 Oct 18. Negi R, Pande D, Karki K, Kumar A, Khanna RS, Khanna HD. Trace elements and antioxidant enzymes associated with oxidative stress in the pre-eclamptic/eclamptic mothers during fetal circulation. Clin Nutr. 2012 Dec;31(6):946-50. doi: 10.1016/j.clnu.2012.04.005. Epub 2012 May 3. PMID: 22560448.